From our George Street location close to the Raritan River, the Law Office of David Jay Glassman serves clients in New Brunswick and throughout Middlesex County. If you’ve been arrested and are facing tough state or federal charges, we are prepared to defend everything you have at risk: your freedom, your career, and even your relationship with your family. When you need an aggressive defense that challenges the prosecution’s case against you, you need a top-rated defense lawyer with proven experience. 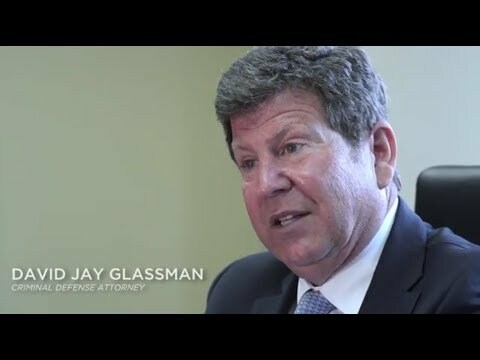 For more than 35 years, Mr. Glassman has practiced in criminal court. Having served as a Deputy Attorney General in Pennsylvania and a Prosecuting Attorney for Atlantic County, New Jersey, David Jay Glassman knows what it takes to protect your rights and deliver the best possible result under the facts of your case. If you are a Rutgers University student or a medical student at Robert Wood Johnson or St. Peter’s University Hospital, and you are arrested for any reason, your academic standing and your future career are in jeopardy. If you are a university professor, a criminal conviction could end your career. When the stakes are high, you need an experienced attorney with a strong track record of success. In New Jersey, there is one violent crime every 22 minutes and one nonviolent crime every three minutes. While Middlesex County experienced a nine percent decrease in nonviolent crime in 2014, there was a four percent increase in violent crime, according to statistics compiled by the New Jersey State Police, with nearly 1,300 arrests for violent crimes. The legal consequences for any of these crimes can last a lifetime. With your future at stake, choose an attorney who is determined to deliver the assistance you need. If you are facing prosecution for a crime in Middlesex County, the Law Office of David Jay Glassman is prepared to help. Our experienced legal team is determined to protect your rights in federal, state or municipal court. To schedule a free initial consultation, contact us online or call us at 866-221-1270. We are conveniently located in downtown New Brunswick, around the corner from the George Street Playhouse and across the street from the Heldrich Hotel.